At Bloomfield Animal Hospital, we know that pets are an important part of your family! That’s why we place a focus on making sure our clients know which types of preventive care are needed for your dog or cat to keep them healthy and disease-free for as long as possible. Pets need regular vaccinations, and we can help your family keep track of when your furry friend is due for their next set of shots. Our veterinary office is conveniently located in Lakewood, CA so that you can easily get to and from your appointments with your pet, and we strive to make our office not only a place where you feel like home, but your pet does too. In short, yes! We know that it takes time and money to vaccinate your pet, but it is the best way to protect your beloved animal from getting certain viral or bacterial illnesses that can take a toll on their health, be costly to treat, and possibly even threaten their life. For example, the cost of treating parvovirus (parvo for short) can be upwards of $2000, and parvo can kill up to 90% of dogs who go untreated. 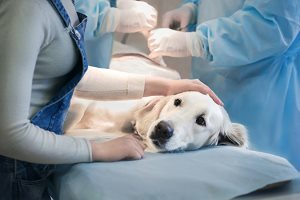 Not only do vaccinations help prevent these types of tragic illnesses, but they also bolster your pet’s immune system so they are better able to fight off other infections for which there are no current vaccines available. When your animal is vaccinated, it also helps prevent the spread of disease to other animals, and conversely, it prevents wild animals from being able to pass diseases onto your pet. Vaccines are so important that some types of vaccines are legally required in certain states. Thanks to modern advances in veterinary science, more vaccinations are available to help protect dogs than ever before. While some are optional and may not be necessary if your pet is not likely to be exposed to certain diseases, there are other “core” vaccinations that we always strongly recommend. Rabies: In California, an up-to-date rabies vaccine is required by law for all dogs that are four months or older. After the initial rabies vaccine, your dog should receive a booster one year later, and then every three years thereafter. 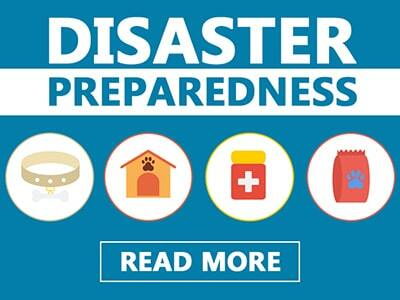 DHLPP: This is a combination vaccine, also called “the 5-way vaccine,” that protects against several serious canine diseases, including distemper, hepatitis (also called adenovirus), leptospirosis, parvo, and parainfluenza. A similar version of this vaccine called DAPPv+L4 protects against the same diseases except for hepatitis. 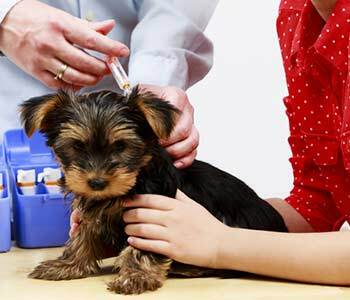 Other vaccines that Dr. Arambulo may recommend depending on what your dog will be exposed to, such as other dogs at boarding facilities, include Bordetella (“kennel cough”), canine influenza (flu), and Borrelia burgdorferi (which protects against Lyme disease. 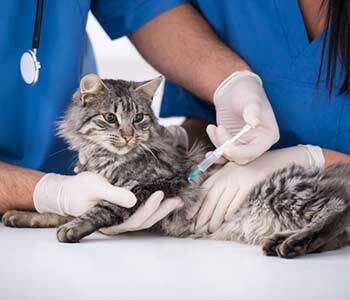 If you have a cat, you have many vaccination options to protect your feline friend. Some are considered “core” and should be administered to every cat, while others are only needed if your cat lives in or visits certain environments. Rabies: In California, while a rabies vaccine is not legally required, it is strongly recommended. In fact, cats are the most frequently reported animals with rabies in the United States, and if your cat is exposed to rabies, you are also at risk of contracting this deadly disease if your cat is unvaccinated. It is recommended that cats receive a rabies vaccine at three months of age, followed by another vaccine 12 months later, and then every 36 months thereafter. Calicivirus: This type of virus is one of the two most common causes of feline upper respiratory infections. Rhinotracheitis: This is another most common virus that can cause upper respiratory infections. Panleukopenia: This vaccine protects against a type of parvovirus that can be fatal for cats. 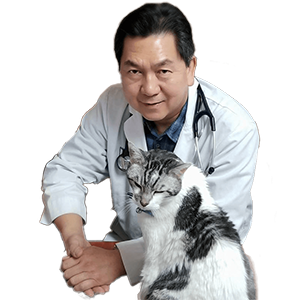 Other vaccines that the vet may recommend for your cat include feline leukemia, infectious peritonitis, feline AIDS, Bordetella, and Chlamydophila felis. 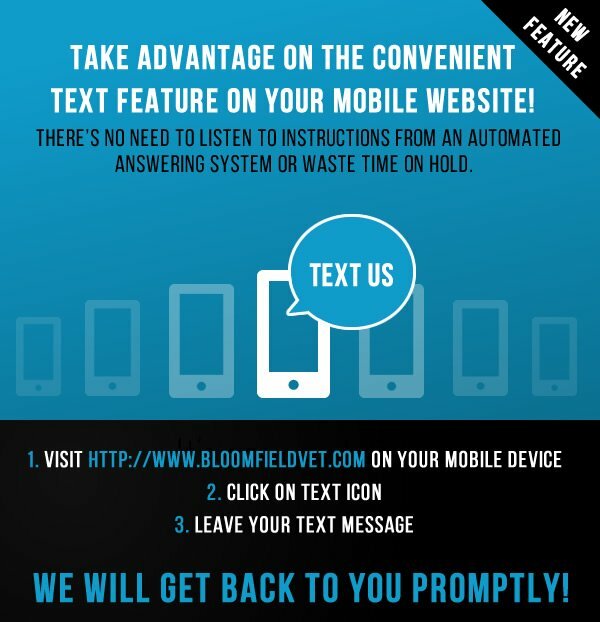 At Bloomfield Animal Hospital, we understand that each pet is unique and that you may choose a more customized approach to your pet’s vaccinations. Dr. Arambulo can discuss your preferences with you and come up with a vaccination plan that you are comfortable with while still protecting your pet. Call us at (562) 383-7788 to schedule an appointment to get your pet vaccinated today!